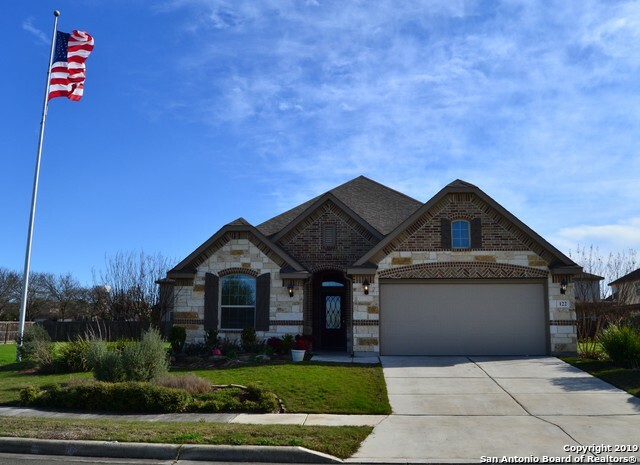 All HEIGHTS OF CIBOLO homes currently listed for sale in Cibolo as of 04/25/2019 are shown below. You can change the search criteria at any time by pressing the 'Change Search' button below. 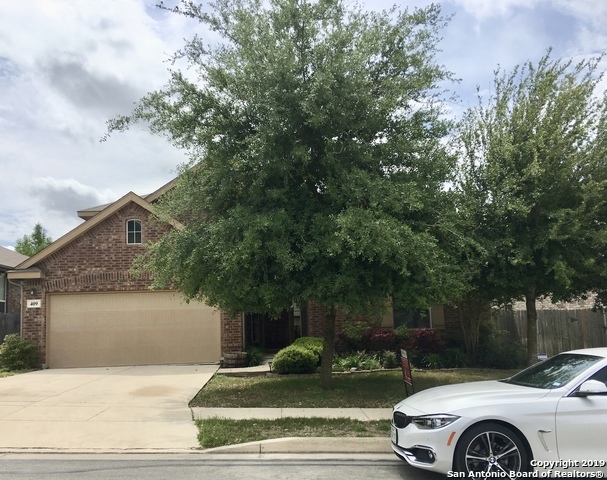 If you have any questions or you would like more information about any Cibolo homes for sale or other Cibolo real estate, please contact us and one of our knowledgeable Cibolo REALTORS® would be pleased to assist you. "Beautiful single story home with bonus room upstairs. Former model with many upgrades. Tile & Wood floors throughout and carpet in the Bedrooms. Lots of light. Neutral colors. Large open Living to Island granite Kitchen. Formal Dining. Master suite down and double sinks in bath with garden tub, separate shower and huge walk in closet. 2 additional Bedrooms downstairs upon entering. Bonus room or 4th Bedroom upstairs with half bath. Covered Patio. Fenced in yard. Landscaped. Cul de Sac. Security "
"MOVE-IN Ready! Beautiful home w/popular floor plan featuring 3 bedrms downstairs. An oversized entry welcomes you to an office, dining rm & family rm. Entertainer's kitchen w/gorgeous granite, walk-in pantry & 42in cabinets. Downstairs master retreat w/bay windows, dual vanities & XL closet. Game rm, bedrm & full bath upstairs. Storage shelves in garage & walk-out attic. Enjoy TX sunsets in private hot tub on lanai-style covered patio. Excellent schools! Easy access to I-35 & short commute to JB"